You’ll get to the fun part of gardening faster and easier than you ever dreamed possible! 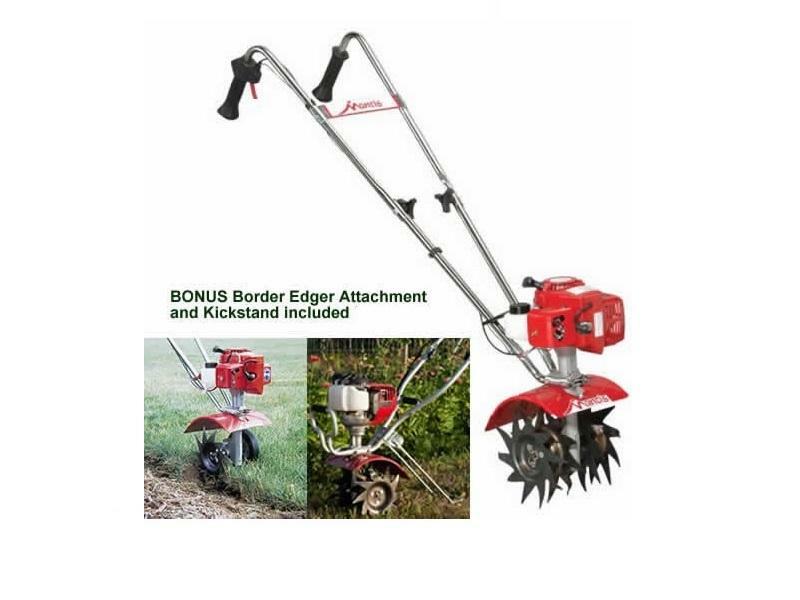 The Mantis 2-Cycle Tiller/Cultivator is the lightest tiller available (just 20 lbs! ), but takes on heavyweight projects like busting tough sod or digging a planting hole with ease. Plus, with a simple flip of the tines, you can precision-weed around delicate plants and seedlings! Reliable easy-starting engine: Featuring a true commercial-grade two-cycle (gas/oil mix) engine with pushbutton priming for quick, easy starts, time after time. Compact Design: The Mantis Tiller/Cultivator easily gets into tight places where no big tiller can go. Lightweight – just 20 lbs.